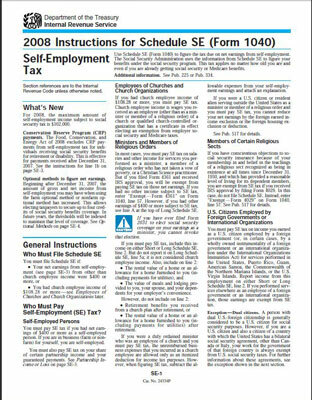 The federal government doesn’t consider sole proprietorships to be individual legal entities to be taxed. Sole proprietors report any business earnings on their individual tax returns — that’s the only financial reporting they must do. Most sole proprietors file their business tax obligations as part of their individual 1040 tax return by using the additional two-page form Schedule C, Profit or Loss from Business (shown in this figure). 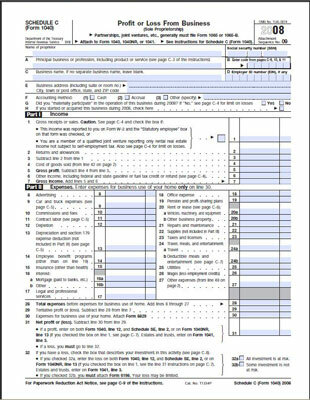 See the IRS Web site for complete forms. Sole proprietors must also pay both the employee and the employer sides of Social Security and Medicare — that’s double what an employee would normally pay. This table shows the drastic difference in these types of tax obligations for sole proprietors. Social Security and Medicare taxes are based on the net profit of the small business, not the gross profit, which means that you calculate the tax after you’ve subtracted all costs and expenses from your revenue. To help you figure out the tax amounts you owe on behalf of your business, use IRS form Schedule SE, Self-Employment Tax (shown in these figures).